With spring right around the corner the winter season comes to a close, a new one starts. Looking back on a great winter season, Lady Demize teams have a lot to be proud of. Starting with the Lady Demize U8 girls making waves as the only under 8 girls team to play at lake country. For the team to even participate this winter they had no choice but to play against all boys teams in the U8 boys division. The girls walked away with a few solid wins with help from two Demize Academy boys, Finlee Smith and Johnathon Smith . The team was coached by Kierstyn Sandwell and assisted by Robert Norton and Mary Smith. 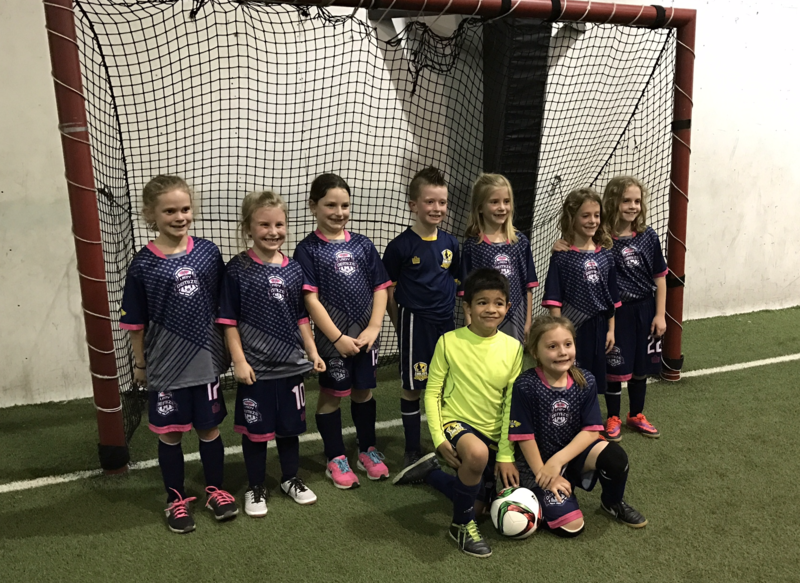 The U11 Lady Demize closed the season out with a strong record with 7 wins and 1 loss, finishing in 2nd place playing in LCS winter futsal league. Their record was undefeated 8 and 0 in Kansas City Heartland's, United States Youth Futsal League (USYF). The Heartland league is the largest and arguably most competitive futsal league in the country. The girls turned heads winning the league title there first time competing up in KC. With the girls debut making there showing as one of the strongest teams in our arsenal of 15 Demize Academy teams that participated in the league. The girls are coached by Tony Giglio and Brianna Hilton. Our U12/13 girls teams have been on a wild roller coaster playing in KC and at LCS. Their records may not shown it but these girls have came along way. Every game has been a battle with the girls most playing up and age group against older girls teams. These girls have made us proud and we hope the challenge of playing up during the winter futsal season will payoff as we move into spring outdoor season. The teams in this age groups where coached by Frank Epps, Brianna Hilton and Chuck Cowan. Lady Demize U14 girls have come a long way. They have had strong seasons at KC and LCS. Their future looks good rolling into spring after they have had a big jump in their level of play and the team continues develop moving in the spring season. The U14 girls have also had the added challenge of adjusting to the age change often times having the team play in an U14/15 divisions. The team is coached by Tim Moore. This winter we brought together many branches of our Lady Demize high school girls program. These girls have overcome many adversities to walk away with a undefeated 8 and 0 record. The team was coached by Marcos Soriano, Frank Epps and Joey Caulk. Over the winter months the Lady Demize have continued to grow and this spring the program will be adding two more girls teams to the roster. A LDA U9/10 and U12/13 girls teams will play there first league games at lake country soccer at the end of the month making the total of six LDA teams to watch out for this spring.